Posted on December 26, 2018 December 28, 2018 by Jenny M.
When you think about moving you will think it is hard. Well, it kind of is when you do it yourself. This is why most of the people will hire movers. But even when you hire movers you might question if you should help your movers? Maybe you want your relocation to be even faster or maybe you are just considerate. Well, this is a good question. There are benefits and risks in this so you should really think about it. Well we know this confusion, this is why we have gathered the information on how you can help out the movers you hired. If you help them you will make your move faster. Well depending on the company, and the things you hired movers to do you have a huge amount of things you can get. Professional movers can do almost everything about moving. From cleaning junk to packing or unpacking. You think about a relocation related task and movers can do it. These people are efficient and they finish work faster than nonprofessionals. This does not mean you can’t help them out. If you do they will finish work faster, this will make your relocation faster. But be sure you do not get in their way. Well, you might think you know everything, if that is true do not hire movers. If you tell them everything they are doing is wrong and you know how to do it better then you are not really helping. This will only make the relocation slower. These people are professionals that have most likely moved more things than you. This means they most likely know how to move your belongings more efficiently than you. If you want good relocation you can find many expert relocation services North Carolina. Well after you find out that if you act like you know everything too much will hurt your move, you might think that you should just leave them alone. Well, this is not really a good idea. You should not bother them too much but they should be able to find you. There are many reasons for this. They might need access to a locked room, or any other reason they might need you. You should just stay around the house. Like any normal day. Be sure you let them know where they can find you. 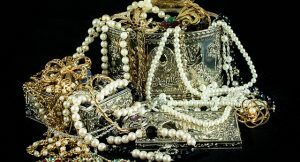 Well if you want to help your movers you should keep your valuable items with yourself. No mover wants to be blamed for something that gets lost. This is why you should check your valuable things before the movers come. If you may be hired some unprofessional movers they might steal. There are a few tips to avoid moving frauds. These frauds aren’t really common but it is better to be safe than sorry. If you want to be a good person and to have a more efficient move you should give your movers refreshments. They might be professionals but they do get hungry or thirsty. This is why you should give them some refreshments or food. They will get more energized and efficient. They will also appreciate you more and they will be more motivated. This is because will make their workspace a bit nicer and who does not like a better workspace. You might get confused about the tips for the movers. Well, this is a cultural thing, it will not really make your move easier or more efficient but it is just the right thing to do. These people do all the hard work. They carry heavy things, they pack or unpack, all this work is not easy. This is why you should definitely tip the workers if they did the job properly. If you hire movers during the holiday season it is nice to give them a bonus. Nobody wants to work during the holidays. 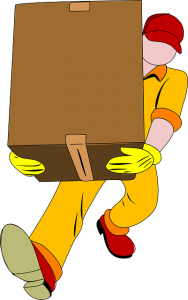 The best way to help the movers is to give them access to your home or rooms. If it is winter be sure you remove the snow on the walkways. They will have a hard time if they need through snow and nice in order to place the things into the truck. If you didn’t hire them to clean before the move do it before they arrive. It will waste a lot of the time if they need to go through a cluttered home. Make sure you give them the keys of any locked rooms you want to empty. If you did not hire the movers to pack your things be sure to pack your things on time. These people can be hired to pack your things if you did not hire them for that do it before they arrive. Another important thing is to label the boxes. These people do not know what is in the box if you have not labeled it. If you do not label the boxes they might break something fragile since they can’t really see through a box. 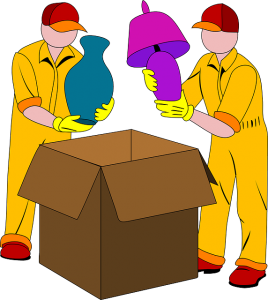 Be sure you pack and label your boxes on time so you can help your movers help you. If you can’t label and pack you can hire movers Pittsboro NC to do it for you. When people hire movers they might think that the relocation is over and everything is finished. But you still have some things to do. You can’t just leave these people alone, it will make your relocation much slower. But if you interfere too much you might actually slow down the move yourself. This is why we made this article, so you know how to help your movers.